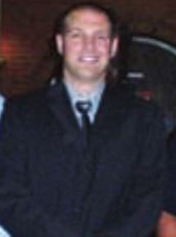 UPDATED November 27, 2014: The killer cop has been identified as Timothy Loehmann. Tamir is dead. The killer is enjoying a paid vacation with his family on Thanksgiving. 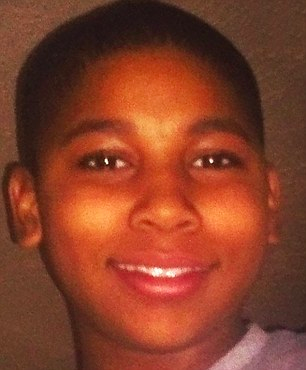 UPDATED November 25, 2014, 11:33 a.m. PST: Cleveland Police are now changing their story, saying young Tamir Rice “reached for a gun” when they shot and killed him. The Cuyahoga County Medical Examiner’s Office is also refusing to release any information to media, including ourselves. Deputy Chief Tomba is now saying the kangaroo “investigation” could take three months. There is apparently surveillance video as well, which nobody has seen except Cleveland Police, so its uncertain if anyone will ever see the original footage before inevitable manipulation and tampering. We all know the routine when cops murder so there is no media-created “suspense.” The killer’s name is still being protected as well. We’re working to find it and will continue to update as we learn more. 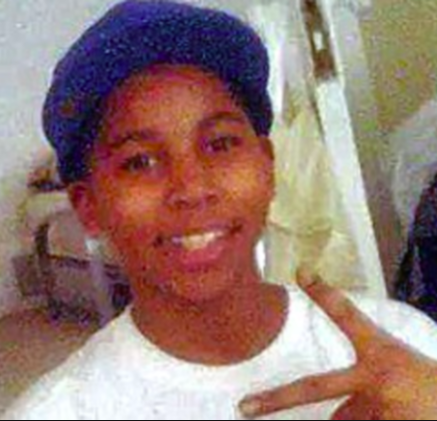 UPDATED 1:43 p.m. PST: The victim has now been identified as Tamir Rice. UPDATED 10:42 a.m. PST Its now confirmed that the 12-year-old son of Samaria Rice has died after being shot in the stomach by cops. CLEVELAND — The 911 operator was more interested in the kids’ race and whether or not the caller had a gun; which led to a 12-year-old kid being shot and seriously wounded by cops. The shooting took place on Saturday around 3:30 p.m. EST on a playground at Cudell Commons Recreation Center, 1910 West Boulevard on the city’s west side. A man called 911 and said a kid “with a pistol that’s probably fake” was pointing it at people. 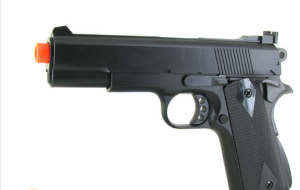 The caller said the gun was fake a second time, which is when call got more bizarre. The operator seem obsessed with the kids’ race, asking the caller three times “is he black or white?” The caller ultimately confirmed the kid was black. The operator then asked the caller either “do you have a gun” or “do you know the guy?” The call was abruptly ended by the operator after the caller answered no. The entire 911 call can be heard here. Cleveland cops arrived a few minutes later. Ed Tomba, Cleveland deputy chief cop, said during a press conference “there was no verbal or [otherwise] confrontation” and that no threat was posed to the cops. Despite Tomba also confirming the child did not aim the Airsoft toy gun at the cops, they arrived and immediately fired two bullets at the kid, striking him once in the stomach. This is the Airsoft toy the young man had. Samaria Rice, the victim’s mother, told WOIO CBS 19 she learned of the incident from two kids who knocked on her door and told her what happened. The family lives across the street from the park. Ms. Rice said her son’s condition was quickly diminishing when she arrived at the hospital Saturday night. She tried to ask him what happened, but he was unresponsive. This is now the second time in less than two weeks Cleveland cops have murdered black people for paid vacations. Tanesha Anderson was murdered by Cleveland cops November 13 after they slammed her head into the pavement. Granted the young man shot by cops on Saturday is still alive as of publishing. But he’s currently in critical condition after taking a bullet to the stomach. Of course a large majority of white Americans are supporting the killer with the proverbial “officer did what he had to do,” while saying black people will “play the race card” and “call Al and Jesse” in the aftermath. UPDATED 5:45 p.m. PST: Typical white blood lust and Stockholm Syndrome following the murder of a 12-year-old kid. Via Cleveland Police Facebook Page. We will be constantly updating this story as we learn more about the young man. The routinr kangaroo investigations have already begun, so the inevitable “justified” disposition should be released within a few weeks. Our thoughts are with the Rice family.